Reading and share top 2 Jaden Smith famous quotes and sayings. 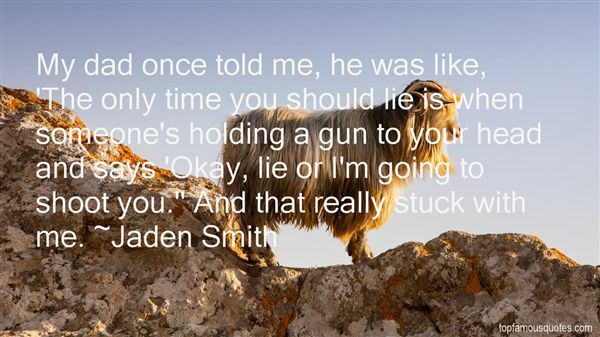 Browse top 2 most favorite famous quotes and sayings by Jaden Smith. By a lot of people's standards, I lived a very privileged life. I never wanted for attention, I never wanted for material things. In some ways, I was probably spoiled because I never had to share. And I was doted on."